Please let us know if you need any assistance! 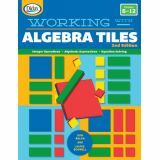 Newly revised and updated for the current Math Standards, this popular title is a complete resource for helping students to visualize the algebraic process. Students model math problems with algebra tiles to build and solve equations while gaining comfort and skill with algebraic expressions. 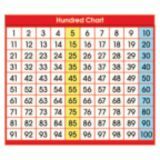 Teacher's notes and reproducible activities cover integer operations, linear and quadratic expressions, perimeter, arrays, binomials and more. Each topic progresses through: objective, prerequisites, getting started and closing the activity. 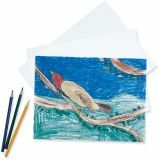 Upgrade your stationery with inspirational notepads for teachers. The 50-sheet Industrial Chic Shiplap notepad makes it easy to keep up-to-date with daily tasks. 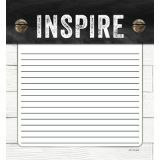 This lined notepad features antique brass bolt accents and an empowering “Inspire” message across the top. 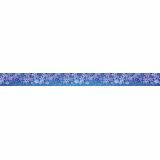 The Schoolgirl Style™ line of contemporary classroom accessories takes the guesswork out of styling, managing, and perfecting classroom design. Each collection, designed by Melanie Ralbusky, offers a signature look that transforms empty spaces into extraordinary environments for students to enjoy. Excellent multi-purpose bright white drawing paper. Accepts all types of dry media. Excellent tooth and retention. Recyclable. 500 sheets per ream. Provides students with tools to pinpoint areas of strengths and weaknesses and strategies to improve their writing in six key areas: Ideas and Content, Organization, Voice, Word Choice, Sentence Fluency, and Conventions. 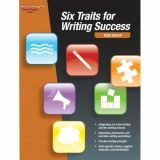 Includes Six-traits rubrics with clear, understandable language; Expository, persuasive, and narrative writing workshops; Practice writing prompts, and more. 144 pages. Provide a quick reference to frequently used information–without damaging work surfaces or leaving a sticky residue! Write-on surface is compatible with most markers and pens. 4" x 3-1⁄2". Pack of 36. Beautiful, jelly filled numbers come in the entire spectrum of colours! 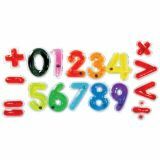 We've included glittery red math signs to bring a touch of magic to your equations! The 3½” (9 cm) numbers are the perfect size for using on light tables or Roylco's R59601 Educational Light Cube. 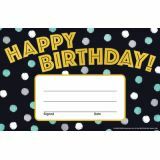 The swishy numbers contain a magnetic disc that students can manipulate around the number with their fingers or magnetic wand (or paper clip!). Includes: 30 numbers and 14 math signs. 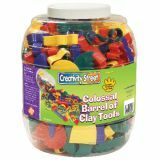 Colorful trims for your bulletin boards! 35' per pack. 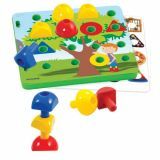 Promote a growth mindset environment with this fun, colorful set perfect for any time of the year. Set includes a 22" x 33¾" (55.9 x 85.7 cm) tree, a 9½" (24.1 cm) trunk extension, two 6¾" (17.1 cm) grass extensions, a sign and post, birds and a nest, and 56 precut hearts. The 57 bonus mini hearts and reproducible activity sheet further reinforce growth mindset through hands-on, “maker” activities. 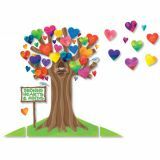 For year-round appeal, use the tree with student photos, handprints, seasonal embellishments, or purchased accents. Also included 4pg Growth Mindset Reproducible. 65 pieces. Colorful, cheery artwork is sure to brighten any wall! 24" x 36" laminated maps are write-on/wipe-off. 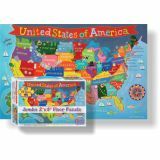 Matching 24" x 36" floor puzzles have 48 pieces; 13" x 19" jigsaw puzzles have 100 pieces.